There are a number of politicians who seek to polarize by color. It’s a sad and odd phenomenom and yet, in the case of at least one politician, it seems to be working. A frightening plight in my opinion. If Lapham’s Quarterly is on the right track, Plato would seem to agree with me (or rather I with him!) And yet, as Neil Harbisson shows in his human color wheel above, don’t we all look beautiful together? 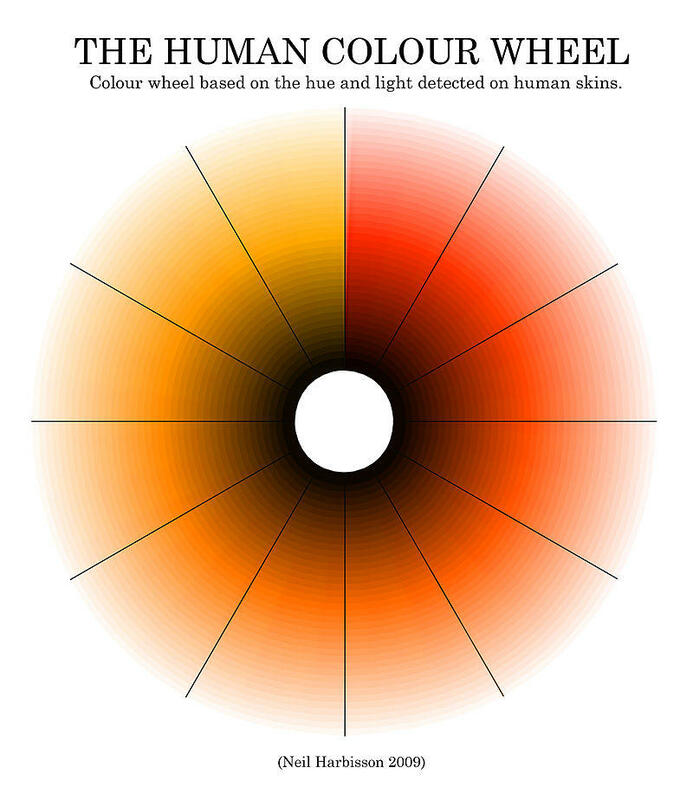 The idea of color as divisive makes me wonder about the multi-cultural origins of color itself. 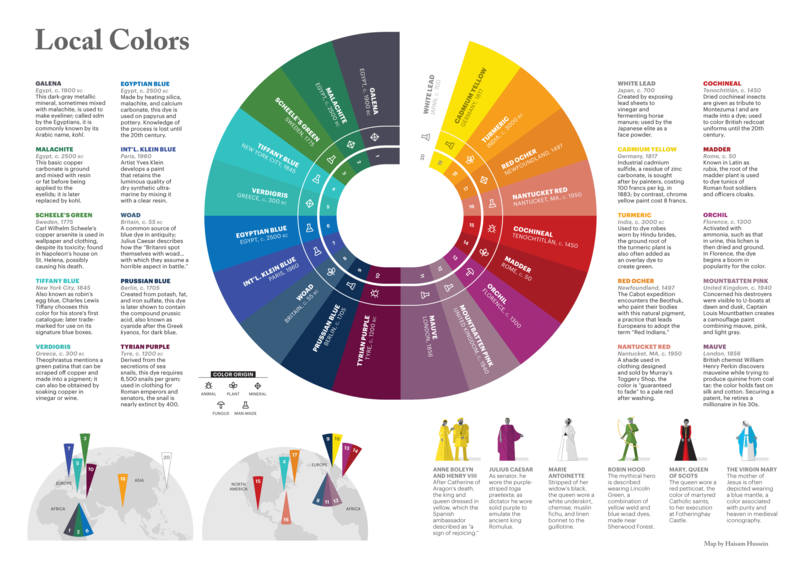 I found that color pigments originate from all over the world (check out this chart). Imagine if we (let’s pretend that we Americans were not all immigrants in the first place) eliminated a large area of the world, with say a wall or a set of restrictions so severe that people could not cross our borders, what colors might we then be missing? Egyptian Blue….originally created by the ancient Egyptians. Cochineal Red….orginally created in sub-tropical South America and Mexico in the 1400s. Malachite green…originally used about 2500BC in Ancient Egypt. Pretty dismal world without these colors. And if you count all of the many years that war and hatred divided us from other world cultures, say Germany or Japan, we’d also be missing cadmium yellow, lead white and prussian blue. We’re not left with a whole lot of color. I suggest we take color and politics in another direction and look at simultaneous contrast. When you look at two colors side by side, they will interact with one another and our perception will be changed based on that interaction. Take a minute to watch the video. A single color, when placed on differing backgrounds, will appear to be two different colors. So environment has an effect on our perceptions. Also, if a color is repeated on a single background, our eye will fill in the empty spaces. Go ahead and apply that to politics and see if you want to think again about the noise you choose to listen to. If all we hear is that people of a certain color or religion or gender act and believe in a certain way, we will eventually see all people of that color/religion/gender through the same lens. What we see, what we believe, can be changed by what is around us. what does Friday taste like?